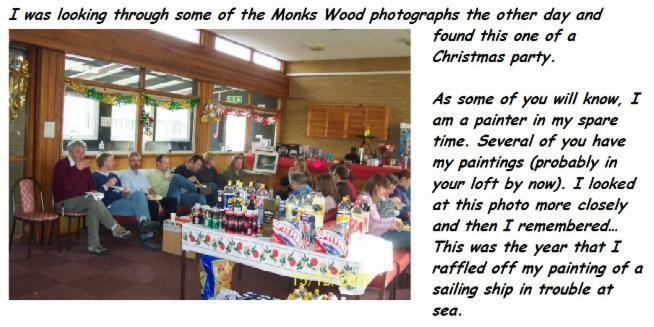 Brian Davis has sent us some great pictures of himself and his Monks Wood friends on a 2009 holiday. 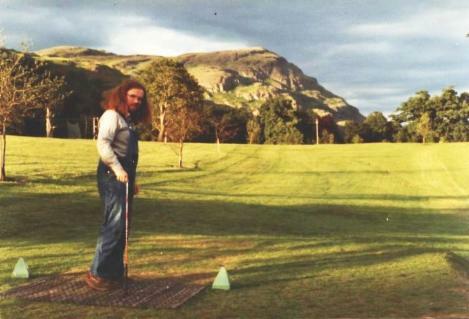 Paul Freestone (1946-2011) was a stalwart of the Chemistry section for many years, where a dry sense of humour was very necessary to deal with the likes of Mick French. See an obituary from Colin Welch elsewhere on this site. This photograph of the Chemistry section below was taken in the early 1980s and shows "Fred" with his then colleagues. (Front row) Keith Bull (in Flashdance mode), Dave Leach (also in Flashdance mode), Dan Osborn (in Village People mode). In May 2011 Nigel Brown paid a visit to Collyweston Wood as part of his work with Natural England. The most interesting part of the visit was that he discovered the 'new home' of the 3D historical maps/models of Monks Wood that used to dominate the reception area at Monks Wood (you will remember these). The 3 panels are intact, but sit on top of a large metal container within a large warehouse which also houses a couple of offices and kitchen used by the staff working at the wood. I have been asked to write a few words about Peter Paffett, and my first thought was “How on earth can you write just a few words about Pete”, who worked for many years at CEH Monks Wood, but here goes! 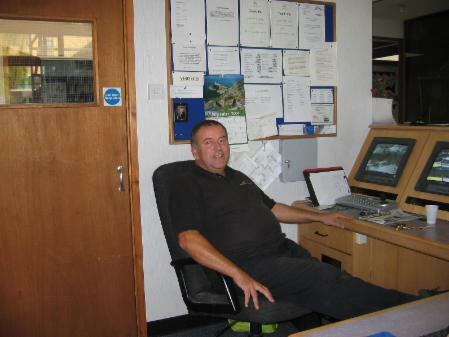 He started originally working for a cleaning company at Monks Wood and after several years was offered a job as caretaker working alongside Mark Spendlove and then Chris Harman. He used to cover me on reception at lunchtimes and was always cheerful and everybody warmed to Pete with his jokes and antics. He was an avid West Ham supporter, and in his spare time he also ran a youth football team in the Huntingdon area. 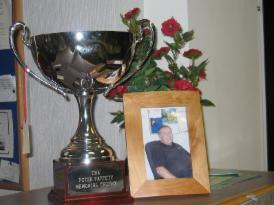 He also played in the Monks Wood football team and there is a memorial cup to him that is held at CEH Edinburgh. He was also well known for buying and selling cars in his spare time and bought many a Monks Wooders car or whatever else he could see would make him a bob or two (a proper Del Boy). Nothing was ever too much trouble for him, he was always willing to help anybody out whether in work time or, more often than not, in his own time. Pete was diagnosed in 2003 with stomach cancer at the age of 46. He managed to fight it for two years and still nothing was too much trouble for him. He sadly lost his fight on March 1st 2005. I collected a generous amount of money from his work colleagues and purchased a bench in memory of him that now stands (sits?) in Monks Wood NNR just inside Saul’s gate. The remainder of the collection was sent to The Woodlands Centre where he was treated. Pete is sorely missed by all who had the privilege to have known him and his name often crops up in conversation with fellow Monks Wooders. Gone but never ever forgotten. 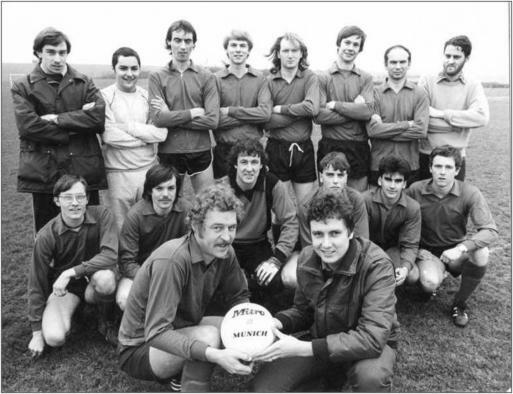 May 2010. can you identify some of this Monks Wood football team for us? about 1982. We know some, Paul Howe, Keith Bull and Terry Parr, but are you one of the others? Please lets us know via the 'contact us' section at the very bottom of this page. We have had Christmas and Midsummer Curries at Spiceland since 2009. The following are from 2010.